Please take a moment to read chapter 21 of the gospel of John. After reading the chapter go back to look at verses 21 and 22. Here is a link to the chapter on the Blue Letter Bible website → John 21 If you take some time to explore the website, you will discover many tools to help you in your study of the Bible. The page I’ve linked to is the chapter in the KJV because it is the easiest place to start for accessing the tools. However, at the top of the page, you will see where you can easily choose another Bible translation. If you have read the chapter, you see that Jesus is speaking in response to Peter’s curiosity about John’s future. I don’t know about you, but I can easily follow Peter’s thinking that led him to ask about John in this chapter. I have often found myself wondering about other people’s situations and life story. This is especially likely to happen when things appear to be unfair. This is also the place where wondering and seemingly innocent questions quickly lead to comparison and envy. John 21 contains the answer for when our focus shifts from following Jesus to wondering about what is going on with other people. Interesting that this is the last time Jesus speaks in the gospel of John. What comes to mind when you think of envy? Below is a powerful 4 part series on the subject of envy from John Eldredge’s excellent podcast. I personally found it to be a fascinating discussion and also extremely convicting. Can’t imagine there is another resource on the subject that compares to this series. So take some time to listen and then share your thoughts on envy by leaving a comment below. Many phrases are used to refer to the abiding life but one of my favorites is the secret place. One of the most well-known Psalms begins by describing the life of those who live this way. Please read Psalm 91:1-2 in your choice of Bible versions. Below are the AMPC and YLT which seem particularly helpful in a study of this portion of scripture. Are you dwelling in the secret place? 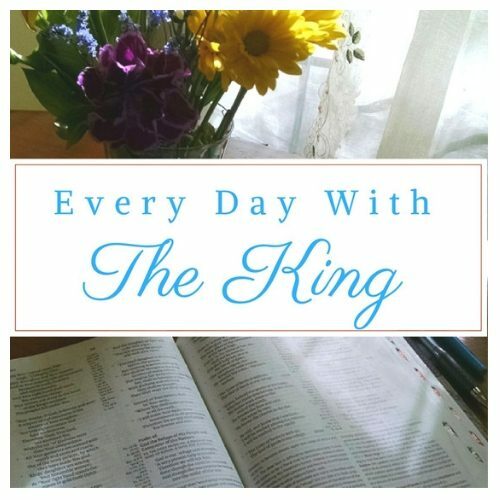 Are you living every day with the King? An excerpt from Matthew Henry’s Commentary explains a little about this kind of life. To storm the secret place. Upon His love to feed. My rich, my full supply! Burn the ships is a phrase that I was familiar with but could not remember the origin story. So when I heard for King & Country’s great song Burn The Ships, I immediately had to do some quick research. In 1519 Hernan Cortes and his crew sailed to Veracruz, Mexico. Soon after arriving the men of Cortes’ crew wanted to return back home. Legend says that Cortez ordered his men to burn the ships. Once they burned the ships they no longer had the option of going back home. They had no choice but to go forward into a new life. Burn the ships means to cut off the option of returning to old ways and forging ahead to the new. It is easy to see how this can be applied to the Christian life. Have you left your past behind? Are you forging ahead into the new life? What ships do you need to burn? If you’ve read the blog post – Social Media you may find yourself with a renewed interest in books and other activities that you enjoyed before the smartphone takeover. Randy Alcorn recently wrote about why we should be reading more. He gives a little challenge that I hope you will decide to try. We are quite persuaded that the very best way for you to be spending your leisure time, is to be either reading or praying. You may get much instruction from books which afterward you may use as a true weapon in your Lord and Master’s service. Paul cries, “Bring the books” — join in the cry. Do you have a reading suggestion or a comment about books? I’m reading each morning in the One Year Bible this year. Psalm 19 was included in the daily reading this week on January 23. Take a look at the first four verses in the NKJV and AMPC version. The heavens declare the glory of God, and the firmament shows and proclaims His handiwork. Day after day pours forth speech, and night after night shows forth knowledge. There is no speech nor spoken word [from the stars]; their voice is not heard. Don’t you think it is amazing that God is speaking to us each day everywhere in the world we live in? Look anywhere and He is to be found if you want to see. Are you looking? Elizabeth Barrett Browning says it so simply. Last year I found benefit in taking a break from social media for a while. I’m not and have never been one of those people who is constantly looking down at their phone. But I felt like too much of my time was given to social media and wanted to see what the results would be if I just stopped it. There were those who began warning early on of the dangers of social media addiction. Remember the video – Look Up – from Gary Turk? That video is from April of 2014. In the years since that video was released many more people have fallen under the spell of constant social media. Today the consequences are becoming clear. We now know enough to conclude that too much social media is very damaging. Information is showing up in books, articles, Ted Talks and individual life experiences convincing us that we must not continue in this pattern. Social media robs valuable time and delivers very little of worth. Instead of promoting social involvement, as the phrase, social media would suggest, it is actually an anti-social activity. Look around when you’re in public areas and you’ll notice people with their eyes locked on the screen of their cell phone. There is good news. Take a little time to learn about the harm of social media and what can be done about it. Explore the helpful links included in the rest of this post. Let me conclude this post about social media with a favorite quote. I always find this quote to be helpful in determining if something is beneficial or not.